Announcement FREE SHIPPING on all orders over $50! Otherwise, $6 flat-rate shipping on U.S. orders. 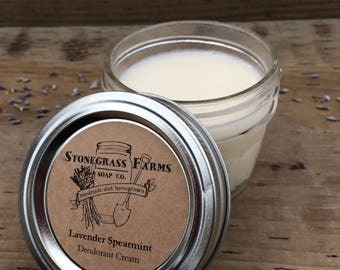 Stonegrass Farms Soap Co. offers homemade soaps and body care products made in small batches using simple, organic ingredients. 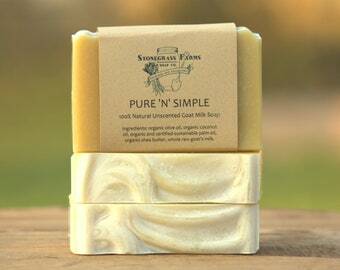 Each item is scented with pure, plant-based essential oils (no synthetic fragrances). I make my soaps using the traditional cold-process method, and I include organic, garden-grown botanicals for natural color and gentle exfoliation. 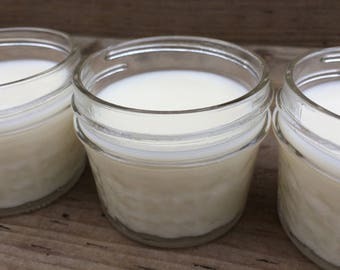 I source farm-direct ingredients locally wherever possible, including goat's milk and beeswax. 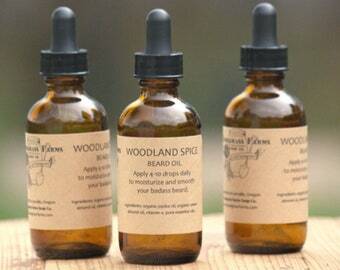 Each product is formulated to be simple, earth-friendly, and great for your skin! FREE SHIPPING on all orders over $50! Otherwise, $6 flat-rate shipping on U.S. orders. 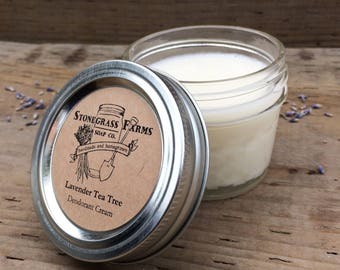 Stonegrass Farms Soap Co. offers homemade soaps and body care products made in small batches using simple, organic ingredients. 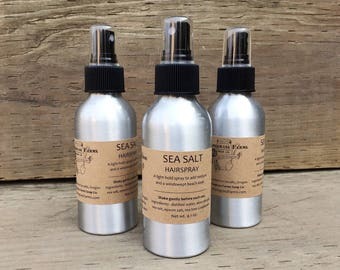 Each item is scented with pure, plant-based essential oils (no synthetic fragrances). I make my soaps using the traditional cold-process method, and I include organic, garden-grown botanicals for natural color and gentle exfoliation. I source farm-direct ingredients locally wherever possible, including goat's milk and beeswax. 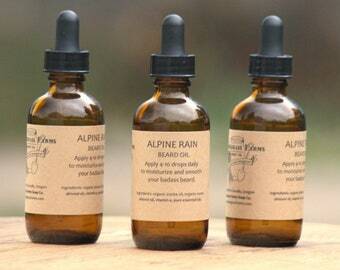 Each product is formulated to be simple, earth-friendly, and great for your skin! Bulk Soap - All Natural Soap - Homemade Soap - Goat Milk Soap - Cold Process Soap - Essential Oil Soap - 6 Lg Bars - You Choose Scent! Shipped promptly. Packaged nicely with *Bonus* newspaper pages for my reading pleasure (lol). The deodorant smelled yummy. Kind of like a lemon cookie (my daughter said it smelled like lemon cake). The yummy scent fades over time and all I can smell in my armpit something like baking soda or just nothing. No armpit stink! I am extremely happy with this purchase. Expectations exceeded! 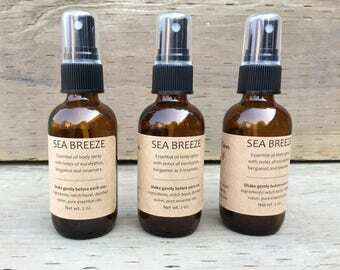 Ever since I started making all-natural body sprays, I've fallen in love with this Summer Solstice spray. It's a refreshing combination of vanilla, lavender and citrus essential oils in a base of natural witch hazel! New cocoa butter balms are now available! 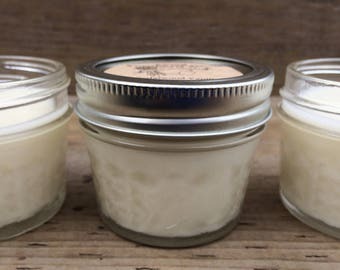 These skin-soothing balms include organic, fair-trade cocoa butter, organic oils, and freshly grated local beeswax. Choose from several scents. These would make great stocking stuffers! Scents in this cute 4-bar soap set change seasonally. 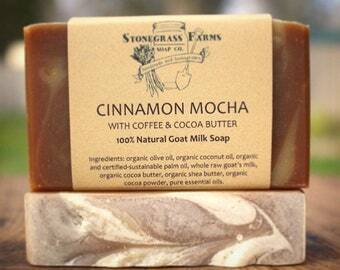 I just updated it to include Pumpkin Pie and Carrot Cake soaps! 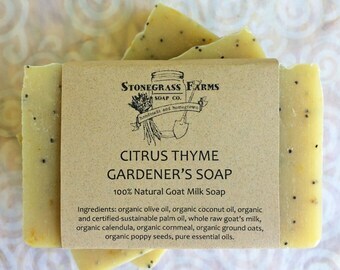 The soaps in my main product line are made with fresh, whole local goat's milk, organic oils, and organic shea butter. Hand-grinding organic, local oat bran for my Cinnamon Oat Bran soap. Sea salt soaps gently exfoliate skin, leaving you feeling like you've had a day at the spa. 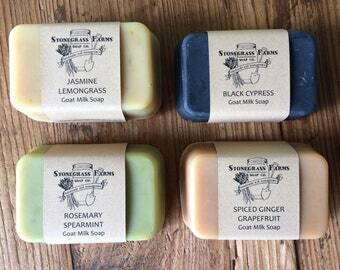 The Story of Stonegrass Farms Soap Co.
Hi, I’m Shelley, the the owner and maker at Stonegrass Farms Soap Co. Thanks for stopping by! I’d love to share a little bit about my philosophy and how I got started. 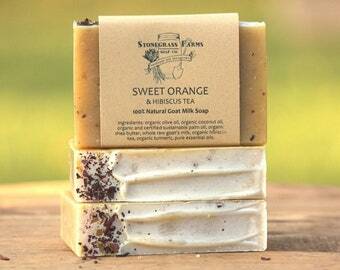 I’ve always felt magnetically drawn to handcrafted soaps. I can’t step foot in a soap shop and leave empty-handed. But my foray into making my own soaps happened via my interest in food, actually. For years, I’ve been passionate about gardening, cooking and eating natural, simple foods. I feel constantly frustrated that so many foods in our grocery stores come with hidden chemical cocktails—things I don’t want in my body. So, instead, I grow what I can and source organically grown foods locally. 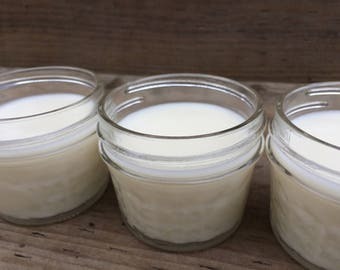 As I learned more and more about additives and chemicals in and on many foods, I began looking, too, at the additives and gunk I was also putting *on* my body via soaps and other beauty products. Because I already enjoyed cooking from scratch and incorporating fresh garden goodies into my meals, making soaps in my kitchen and adding garden-grown herbs felt natural, exciting and empowering. 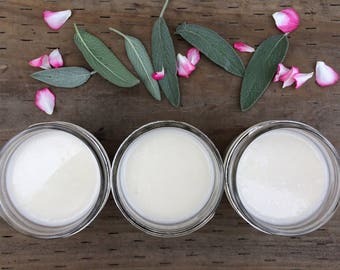 I’ve loved taking control of the main products I put on my body every day—such as soap, deodorant, lotion and lip balm—by getting to craft my own recipes and source simple, natural ingredients I know are good for me. I handmake and hand-cut all of my soaps in small batches in my Corvallis, Oregon, kitchen. 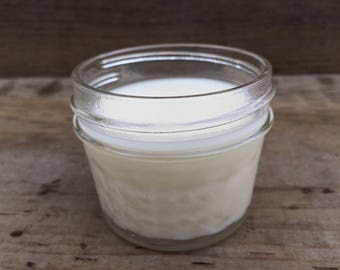 I start with a base of organic oils and rich, whole goat’s milk that I source locally, and then I impart fresh scents and gentle exfoliating agents using pure essential oils (never synthetic fragrances) and organic, plant-based ingredients, such as herbs from my garden. I mainly make goat's milk soaps because I flat-out love them, and because they’re so moisturizing and excellent for so many skin types. Goat's milk soap is packed full of enriching vitamins, minerals and fats that nourish skin—and it may even provide relief for those with severely dry skin, sensitive skin, itchy skin, acne, eczema or psoriasis. 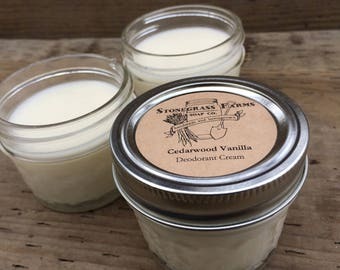 My deodorant creams are made with natural, organic ingredients—such as coconut oil, shea butter, and arrowroot power—and are aluminum-free. Just rub a pea-sized amount in each pit to stay fresh all day! These deodorants absorb odors and moisture, and allow you to ditch pore-clogging, chemical-laden commercial brands of antiperspirants. 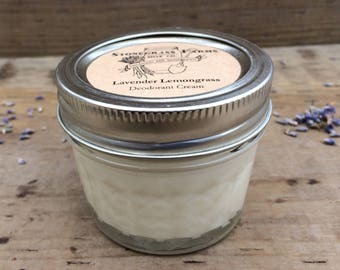 My beeswax-based lip balms and lotions are rich and soothing, with all organic butters and oils. I source all beeswax from a local farm. 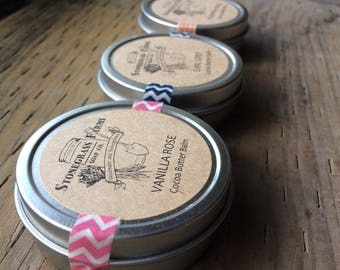 In an effort to reduce waste, I make products in reusable and recyclable containers, such as Mason jars and metal tins. I package customer orders with upcycled materials whenever possible, such as grocery sacks and newspapers. Thanks again for your interest in my products! 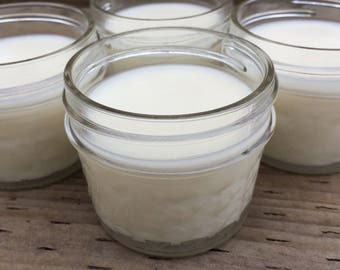 I truly make every item with care and I love sharing my handmade creations with others, knowing I’m providing something natural and healthy for their skin. 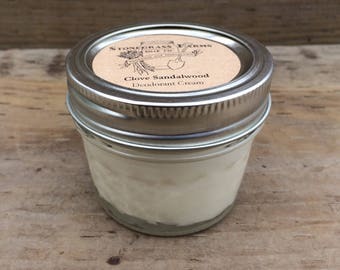 I'm a soapmaker, gardener and do-it-yourself-er, and I make all my small-batch products by hand. I'm committed to using the highest-quality natural ingredients possible and to supporting local farmers and other small businesses along the way. We would be thrilled to help with any of your custom-order needs, from custom gift tags to party or wedding favors. 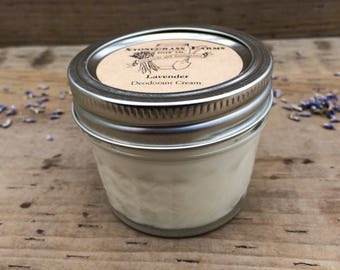 We are even open to making a soap or deodorant in a custom scent, just for you. Please send us a message with your ideas, questions and requests related to custom orders. 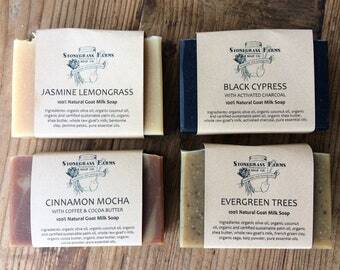 Because of the nature of Stonegrass Farms Soap Co.'s products, we are unable to accept returns. If you are not totally satisfied with your order, however, please send us a message so we can find a solution. Thank you!